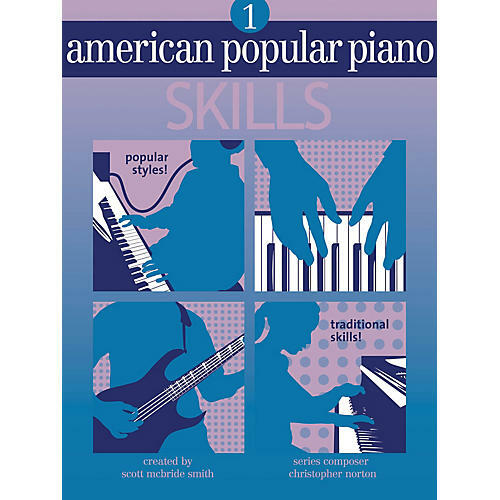 This course of study for piano, published by Novus Via Music Group, is now distributed by Hal Leonard. It features eleven progressive levels, with four different books at each level: repertoire, etudes, skills, and technic. It starts with a preparatory level for first year students, and then includes levels 1-10 for ten years of study. These books provide comprehensive curriculum in diverse musical styles, with instrumental backing tracks on CD with the repertoire books. Students who use the books in this series will learn how to: develop traditional pianistic and musical skills through music in contemporary, popular styles; be motivated to practice by working on music that is familiar, fun and that they can't wait to play; nurture their creativity and spontaneity through a user-friendly modular approach to improvisation; and enjoy regular ensemble playing, finding pleasure in a lifelong relationship with music.